Barely a week after the last-minute drama of will-he-won’t-he scrap the tariffs on steel, the EU is once again waiting with bated breath to see whether Donald Trump will dial up tensions in the uneasy transatlantic relationship. This time, the volatile US president might dismantle the Iran nuclear deal. The dramatic drumroll before a Trump decision with potentially disastrous global effects is getting familiar. Remember when he pulled the US out of the Paris climate agreement? White smoke, in the form of his announcement, is expected at around 20:00 central European time. The EU is in waiting mode, with many wondering if it has a Plan B in place. Its foreign policy chief Federica Mogherini will make an official comment from Rome right after Trump’s announcement. After 12 years of uncertainty and two years of tense negotiations, the Iran nuclear deal was concluded in Vienna in July 2015, reassuring the world that the country’s nuclear programme would not seek to develop nuclear weapons. Sanctions were gradually lifted and international monitoring put in place. Six major power were involved: the US, China, Russia and three EU members, France, the UK and Germany. When Trump took over, he made clear he viewed the deal as “disastrous” and full of flaws and would seek to scrap it. This is an election year in the US, and the “America first” president has to answer to a support base that views the deal as a toxic Obama-era mistake. All the other five countries that are part of the agreement are in favour of extending it, including the UK, whose Foreign Secretary Boris Johnson tried and failed (just like Macron and Merkel) to persuade Trump to stay on board. Hours before Trump’s expected announcement, a European Commission spokesperson repeated on Tuesday the EU’s standard line that the Iran deal has proven to be effective and needs to stay in place. 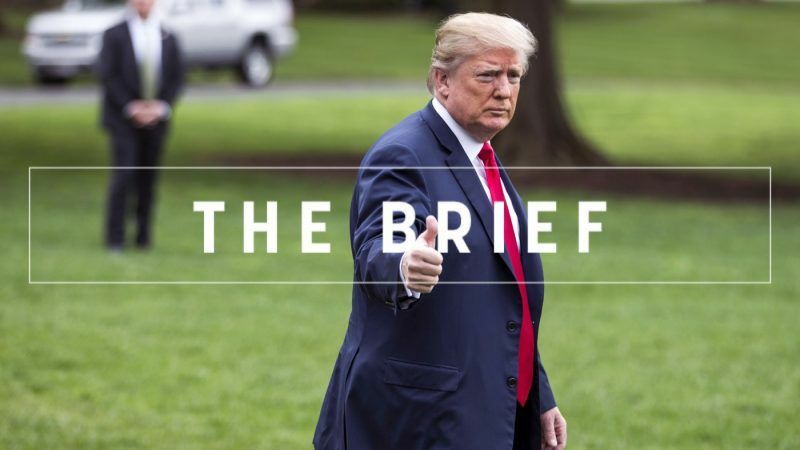 The EU is “working on plans to protect European companies”, the spokesperson declared but would not offer any more detail on what the contingency plan is if Trump pulls the plug on the agreement. The effects of the US leaving the agreement could be dramatic, and trigger political and economic uncertainty between the US, Europe and Iran. It could usher in a new era where Europe is forced to clean up Trump’s mess. Not least, it could also trigger a hike in global oil prices. Later tonight, Trump will be in the spotlight. After him, Europe might be in the hotseat. In a hall once used to crown czars, Vladimir Putin was inaugurated as Russian president for the fourth time today. In total, he has been in charge of Russia for 18 years now, either as president or prime minister, swapping places with Dmitri Medvedev due to constitutional inconvenience. Expect another bumpy day, as President Trump is due to announce whether the US will pull out of the Iran nuclear deal or stay in and work with European allies. Gas swaps in which Iran plays a central role could open the door for Turkmenistan to become an important player on the EU gas market. Also in the region, Armenia installed an opposition leader as interim prime minister, after weeks of peaceful popular protests. Sam Morgan reports from the scene. Ahead of the June summit, member states are wrestling over how to reform their broken migration and asylum system. Three years after its establishment, a new prosecutor was named at the Specialist Chamber in The Hague, which is examining war crimes against ethnic Serbs in Kosovo. First indictments are expected to be issued soon. The S&D President called on “progressive” political forces in Greece to to keep distance from EPP-affiliated New Democracy, blaming them to bear the main responsibility for the Greek financial crisis. On board of an aircraft, French President Emmanuel Macron looked back on the beginning of his term and on his foreign policy – and he also announced plans to treat France’s addiction to public money. Who strikes fear into Silicon Valley? Europe’s Antitrust Enforcer – that is how Competition Commissioner Margrethe Vestager is perceived on the other side of the Atlantic. To face rising challenges and put patients at the core of decision-making, it is about time to end fragmentation of EU healthcare, experts argue. A coalition of Czech and Slovak NGOs told the Commission to listen to science and differentiate biofuels in more sustainable ethanol and the high greenhouse gas emitting tropical oils. Old plastic materials that cannot be recycled because they contain too much “impurities” could find a final incarnation in car’s combustion engines. Tech industry groups and consumer watchdogs are at odds over whether the Commission should overhaul the bloc’s legislation on product liability to cover robots and artificial intelligence. Europe Day is tomorrow. EU institutions are closed, more or less, until next week.